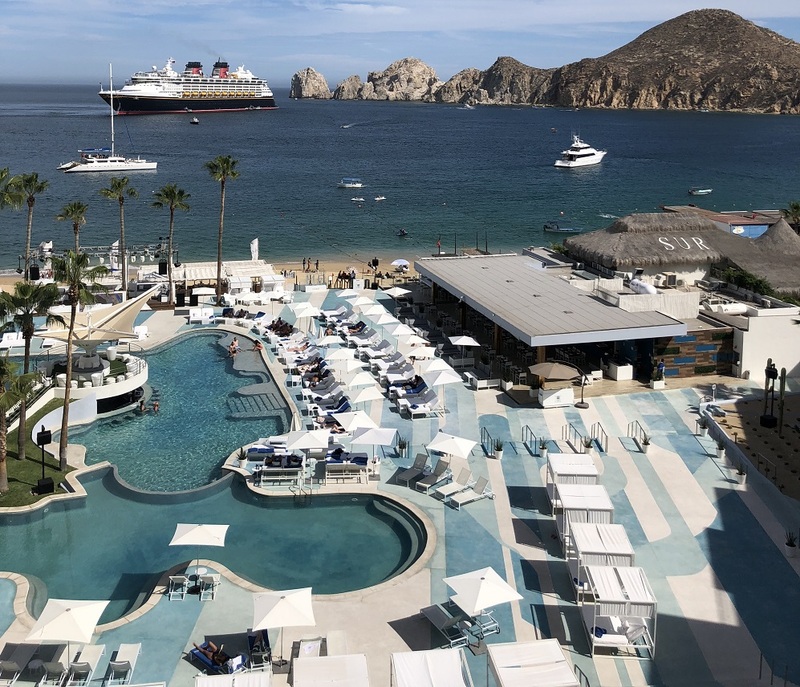 The weather in Vancouver can be quite rainy – hence why I booked this trip spontaneously, it was a very rainy cold day, and less then 24 hours I was in Los Cabos! Yes, very last minute. The flight to Los Cabos was not too long, about 4 hours. Since we wanted to explore the main town of San Lucas, we chose a non all-inclusive resort, which was ME Cabo. Vibe – Not such a relaxing vibe, there is a live DJ so music is on all day starting from 12pm on week days, and 10 am weekends. The pool is a bit smaller then most resorts, but their beachfront view is unbeatable. I didn’t mind the music, since the view was phenomenal. Service – For the most part the staff were pretty friendly. However there could be some room for improvement. Given it was not an all inclusive resort, and was quite expensive the service was lacking. The day we arrived the staff were very kind we even had a complimentary champagne bottle. We did receive complimentary breakfast with our stay. However, everyday something was off – either we got the wrong order, or they forgot to bring something. For the days we sat on a day bed at the beach, we noticed it took very long for a server to come to assist. One of the days, I was out in the balcony barefoot and stepped in some glass and my foot bled quite a bit (after we noticed our house keeping broke an ash tray and did not clean the debree properly) luckily I was able to get the glass out, and housekeeping failed to bring another ash tray. Aside from that, we were on vacation and made the best of it!